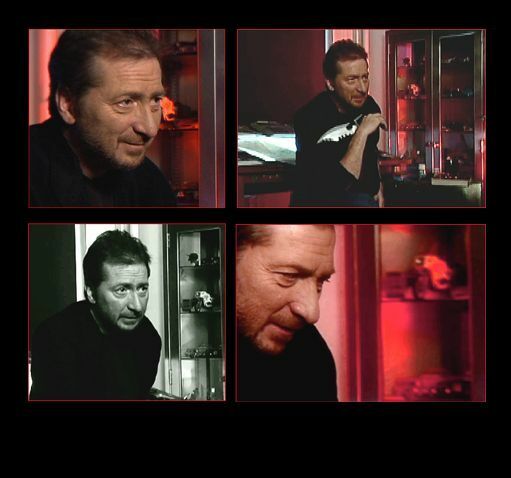 Frank Miller has had a universal impact on comic books, not only in the evolution of Batman into The Dark Knight, but especially in the indie world with his titles like Sin City and 300. He is an artist, writer, film director, and creator. He changed Batman forever in his Dark Knight series and created the stylized Sin City which, for me, is the closest looking comic book turned into movie I have ever seen. 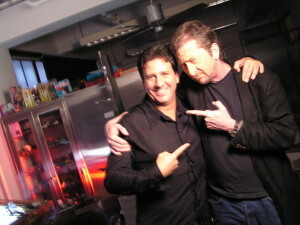 I was fortunate enough to get an interview with this legend never having spoken to him beforehand and not knowing how it would turn out. Frank is kind of a recluse so there was a bit of mystery, mystique, and I must admit, trepidation mixed with excitement, in meeting him. After all, it had taken a good year or so of coordinating it with his team, with a whole lot of back and forth on the date and the time. Truth be told, our interview was nearly canceled just before our flight over from LA to NYC. With the final green light, my good friend and amazing cinematographer Douglas Brian Miller and I flew to New York on a rainy day. We were greeted by a chauffeur that Frank’s assistant recommended who showed us the city before making our way to Frank’s loft in Manhattan to interview him. When we arrived, we were told that Frank had 45 minutes and all I could think of was “Oh Sh** We just flew over for this interview!” I was already so nervous because – well, he’s FRANK MILLER for crimeny’s sake! But Frank was gracious – he gave me two hours of his time and I will never forget this experience. A bit reserved at first, he opened up about his work on Batman and his take on making him look older and darker. 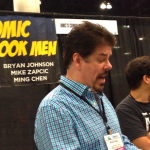 He also talked about how another industry icon, Batman artist Neal Adams, was his mentor. I was s urprised to find out that Neal, in the early years, told Frank to give it up and move back to New Hampshire. He also went into depth about his Sin City characters, and even though set in a dark city, most of the main characters represented characteristics like love and honor. 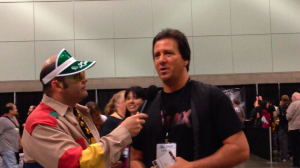 Speaking of which, it was indeed an honor to meet this comic book hero who changed the face of the comic world. We flew in to meet and interview this true dark knight on a rainy city, very reminiscing of the dark city that Frank just talked about, and flew out all in one day! It turned out to be a great day that I will never forget. 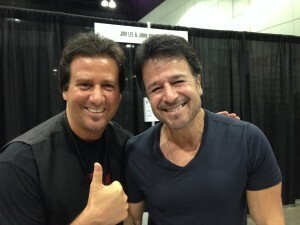 Reunited with John Romita Jr! 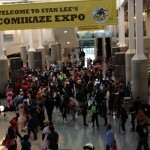 The COMIX crew and I went to Stan Lee’s Comikaze Expo in LA this weekend and had a blast!!! 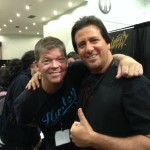 We met up with some old friends like Stan Lee and John Romita, Jr. and met new friends like Image Comics Co-Founder Rob Liefeld (Youngblood, X Force, Deadpool) and hip hop legend/comic book entrepreneur DMC who just released his first comic book! 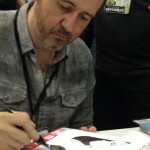 We also got to see J. Scott Campbell (The Amazing Spider-Man, Wildstorm Comics), the guys from Comic Book Men, and more. We almost had a chance to eat the Hulk! Actually, it was about a 15-ft. cake for display, ginormous and smelled so good! 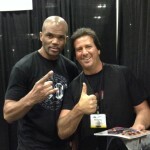 Me with hip hop legend DMC! 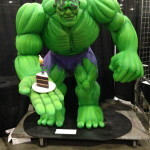 It’s a HULK of a cake! 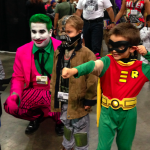 Young and old convene to celebrate comics! 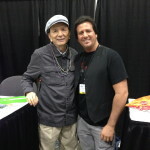 So cool meeting legendary actor James Hong! Among the many highli ghts was that I had my first Podcast interview and will share out when it broadcasts. Another personal highlight was giving my very first autograph to a fan who heard about the film. It was a truly humbling and awesome moment for me. It was great getting to spend time with Stan Lee fans while we waited in line for Stan. I want to thank them for being so cool about letting me share COMIX with them. As for me, seeing Stan was like being a kid in a candy store all over again. I was just so happy to share the movie with with him, and so I wanted to share this moment with you. 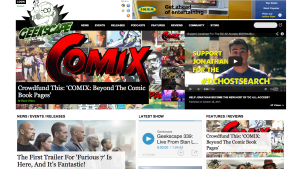 Breaking News: Comix gets Geekscaped! Whoever thought being a geek was so cool? We do! There’s a lot of excitement around this film and I couldn’t be prouder. Please help us spread the word. With 12 days left, you can make a difference!